The United Kingdom (UK) comprises four countries – England, Northern Ireland, Scotland and Wales – which share a common (albeit uncodified) Constitution but have three separate legal systems. England and Wales share a common legal system (often referred to colloquially as ‘English law’) while Scotland and Northern Ireland each have their own independent system. The Supreme Court of the United Kingdom hears appeals from all three legal systems in civil cases in addition to cases concerning powers devolved to the Scottish, Welsh and Northern Irish executive and legislative authorities. The UK is a Member State of the European Union (EU) and, by virtue of the European Communities Act 1972, certain EU legislation and decisions have effect in the legal systems in force in the UK.2 This chapter focuses on the legal system in England and Wales only. Disputes in England and Wales may be adjudicated privately (e.g., by an agreed arbitrator) or litigated publicly in the courts. Although the use of private dispute resolution mechanisms is increasing, the courts still determine the vast majority of adjudicated disputes. The courts remain the only forum in which a claim can be determined without the agreement of the other party. Private forms of dispute resolution are considered separately in Section VII, infra. Depending on the financial value and nature of the dispute, a party may bring a civil claim in either the County Court or the High Court. Most non-complex civil litigation is dealt with in the County Court through hearing centres scattered across towns and cities throughout England and Wales. Most commercial claims, and all complex litigation, are heard in the High Court, either in district registries located in provincial cities or in the Royal Courts of Justice in London. Recent changes to the Civil Procedure Rules (CPRs) emphasise that cases can be tried outside of London regardless of their size. These changes have been made in the context of the launch of the Business and Property Courts, discussed further below. The High Court has jurisdiction to hear any civil case in England and Wales at first instance, and has an appellate jurisdiction in respect of certain matters in the courts below. The High Court is divided into three divisions, two of which are relevant for commercial disputes, namely the Queen’s Bench Division and the Chancery Division.3 Within these divisions there are a number of specialist courts or lists, including the Commercial Court, the Financial List, the Circuit Commercial Court (previously the Mercantile Court), the Admiralty Court, the Technology and Construction Court (TCC), the Administrative Court, the Planning Court, the Companies Court, the Bankruptcy Court, the Intellectual Property Enterprise Court and the Patents Court. The High Court, the Crown Court (which deals with criminal cases) and the Court of Appeal are collectively known as the Senior Courts of England and Wales. The Court of Appeal hears appeals in civil cases from the High Court and, in certain circumstances, from the County Court and various tribunals. Following changes made in October 2017, the Commercial Court, Circuit Commercial Court, Chancery Division (including Companies Court, Patents Court and Intellectual Property Enterprise Court), TCC, Admiralty Court and Financial List are known collectively as the Business and Property Courts of England and Wales. The individual courts retain their identities, but the work of the Chancery Division has been spilt into seven lists according to the substance of the dispute.4 There are also Business and Property Courts in Birmingham, Manchester, Leeds, Bristol and in Cardiff, with expansions to Newcastle and Liverpool likely in the future. The final court of appeal in civil cases (and, in England, criminal cases) is the Supreme Court of the United Kingdom, created by the Constitutional Reform Act 2005. The Supreme Court will generally only hear cases that involve a point of law of general public importance; its decisions bind all courts below. In addition to the courts, a number of statutory tribunals have been established to hear disputes arising under the jurisdiction granted to them by the relevant legislation. The members of the tribunal will often comprise a legally qualified chairperson as well as lay members with appropriate experience. It is often possible to appeal a decision made by a tribunal to the High Court. There is no general right of appeal to the Court of Justice of the European Union (CJEU),5 although a court or tribunal in England and Wales may refer questions regarding the interpretation of the Treaty on European Union and the Treaty on the Functioning of the European Union or the validity or interpretation of acts of the EU institutions to the CJEU for a preliminary ruling. Having obtained such a ruling, the case will (often after many years’ delay) return to the referring court or tribunal, which must apply the CJEU’s ruling, together with any non-conflicting national law, to the facts before it. The court or tribunal is not required to make a reference where previous CJEU decisions have already dealt with the point or where the correct application of EU law is so obvious as to leave no scope for reasonable doubt (referred to as acte clair). The European Court of Human Rights (ECtHR) hears cases relating to alleged violations of the European Convention on Human Rights (the Convention). The Court and the Convention are separate from the European Union and its institutions. There is no general right of appeal to the ECtHR. A claimant who alleges breaches of the Convention may apply to the ECtHR only after having exhausted his or her rights of appeal in the domestic courts; in England and Wales, this will usually mean that the claimant must have pursued a claim and all available appeals in the domestic courts pursuant to the provisions of the Human Rights Act 1998. The decisions of the ECtHR are not binding on courts in England and Wales, although Section 2 of the Human Rights Act 1998 requires domestic courts to ‘take into account’ such decisions. The past year has produced a number of important decisions by the courts. It is not possible to review all the developments that have taken place, but the following are of particular interest. In this case, the claimant commenced an action for breach of contractual and fiduciary duties, which was later discontinued. The defendant, Willers, claimed that the claims originally brought by the claimant were part of a campaign against him to do him harm and sought to sue the claimant (of the original action) for malicious prosecution. The question was whether a claim in malicious prosecution could be brought in civil proceedings by an individual against another individual. The equivalent action exists in relation to criminal proceedings. The Supreme Court considered this novel point and held, by a majority of five to four, that the tort of malicious prosecution in civil proceedings is available for instituting proceedings without reasonable or probable cause. This new cause of action imposes a heavy burden on the claimant, and a critical feature which has to be proved is that the proceedings instituted by the defendant were not a bona fide use of the court’s process. In allowing the appeal, the court found that it was instinctively unjust for a person to suffer injury as a result of the malicious prosecution of legal proceedings for which there is no reasonable ground, and yet not be entitled to compensation for the injury intentionally caused by the person responsible for instigating it. The Court of Appeal has dismissed three linked judgments concerning hedging products that the appellants alleged they were required to buy as a condition of loans made to them by RBS, Barclays and National Westminster (the Banks). The Financial Conduct Authority (FCA) identified serious failings in the selling of the hedging products and required the Banks to undertake certain reviews into how those products had been sold to certain customers under the terms of an agreement with the FCA. The Banks were required to provide redress where misselling had occurred, and the Banks found that the appellants were not entitled to any redress. This appeal raised the question of whether the Banks owed a duty of care to the appellants (i.e., certain customers) to conduct the FCA directed reviews with reasonable care and skill. The court dismissed this appeal on the basis that the test for establishing whether a duty arose was: (1) whether the defendant had assumed voluntary responsibility to the claimant; (2) the threefold test in Caparo Industries Plc v. Dickman;6 and (3) whether the addition to existing categories of duties would be incremental rather than indefinable. The Court found that none of the elements were satisfied in this case, and that it was not just, fair and reasonable to impose a duty of care. The Supreme Court has said that there were serious problems with the two staged objective and subjective test for dishonesty which was being followed, applying R v. Ghosh  Q.B. 1053, which was: (1) whether the conduct complained of was dishonest by the lay objective standards of ordinary reasonable and honest people; and, (2) if the answer was yes, secondly, whether the defendant must have realised that ordinary honest people would so regard the behaviour. To bring the test for dishonesty in civil and criminal cases in line, the court articulated the view (strictly speaking, obiter) that when dishonesty is in question, the fact-finding tribunal must ascertain the individual’s actual state of mind as to the facts. Once this is established, the question for the court is objective, as to whether by applying the standards of ordinary decent people, his or her conduct was honest or dishonest. The Court of Appeal said it was possible that an English parent company could owe a duty of care to those harmed by the actions of a foreign subsidiary. The English court had jurisdiction over the resulting claims against both the parent (because it was domiciled in England, EU law meant there was no discretion to decline jurisdiction) and the subsidiary (which was a necessary and proper party to the claim). The case apparently had few connections with England: the events complained of took place overseas, the harm was suffered overseas, the relevant substantive law was foreign and all of the claimants and many of the witnesses were overseas. However, the effect of EU law on jurisdiction in combination with the theoretical possibility of a duty of care were enough to bring the case to England. The case, which will now proceed to trial, has been closely watched by English-headquartered corporates with foreign operations, particularly in the extractive industries. The claimant applied for summary judgment on its claim and on the counterclaim of the defendant, both of which included allegations of fraud. The hearing lasted for nine days and required detailed analysis of the documents and written evidence. The judge noted that while one might have been tempted to simply hold that it was not possible to hold a ‘mini trial’ on the issues, this was a case in which careful consideration of the issues resulted in summary judgment being granted in part, which saved the parties and the court many months of wasted time and costs. The Court of Appeal found that in relation to commercial contracts negotiated between sophisticated parties of equal bargaining power, the contractual interpretation rule of contra proferentum, requiring any ambiguity in an exemption clause to be resolved against the party seeking to rely on it, had a very limited role. Civil procedure in England and Wales is governed by the CPRs and accompanying practice directions (PDs). These are supplemented by guides produced by different courts summarising particular procedures that apply in those courts. They do not have the force of law but courts will generally expect compliance (and may punish non-compliance with adverse costs orders). These and other sources are available online on the Ministry of Justice’s website7 and, with commentary, in The White Book published annually (with interim updates) by Sweet & Maxwell. Time frames and procedure for claims vary depending upon the court and division in which the relevant claim is issued and the nature of the claim itself; the commentary below is therefore only a general summary. Before even commencing a claim, a claimant should ensure that one of the pre-action protocols does not apply to the type of claim being made (e.g., claims for professional negligence, defamation and judicial review have specific pre-action protocols that should be followed). Even where there is no specific pre-action protocol,8 the claimant will be expected first to write a letter before claim to the prospective defendant setting out in detail his or her claim and allowing the defendant a reasonable period in which to respond (what is reasonable may depend on the complexity of the allegations). Following any pre-action steps, proceedings are started (and the court is treated as seised) on the date that the claimant issues a claim form in the relevant court. The claim form must then be served on the proposed defendant or defendants within four months of issue (assuming the relevant defendant is within the jurisdiction) or within six months if the defendant is outside the jurisdiction (see Section III.vi, Service out of the jurisdiction, infra). It can be served by a range of different methods, including handing it to the defendant in person or by post. The courts have wide discretion in this area: they have, for example, permitted service of an order to be made via the social networking site Twitter against an anonymous defendant who had impersonated the claimant’s blog on that site. The claimant must serve particulars of claim with the claim form or within 14 days of service of the claim form; the particulars set out its case, the relevant facts and basis for the claim in law as well as the remedy sought. Both the claim form and the particulars of claim must be verified by a statement of truth signed either by the claimant (or authorised signatory on behalf of the claimant where the claimant is an organisation) or the claimant’s legal representative. Assuming the defendant intends to defend the claim and acknowledges service by the appropriate court form, his or her response is by way of the defence, to be served within 28 days of receipt of the particulars of claim (note that this timescale can vary between different courts and is in any event subject to extension by agreement between the parties or by court order). The defendant should respond in the defence to each of the allegations made in the particulars of claim by either admitting it, denying it (with explanation), or putting the claimant to proof. Following service of the defence, the claimant has a right of reply in relation to any new issues or allegations raised in the defence, as well as a right to defend any counterclaim raised in the defence. The claimant’s reply should be served within 21 days of service of the defence (again, subject to extension by agreement or by court order). From this point on, it is not expected that any further statements of case will be exchanged between the parties (unless permission to do so has been granted by the court). Following the filing of the defence, the court will send a notice of proposed allocation to the parties (CPR 26.3(1)), which will provisionally allocate the claim to a ‘track’ and require the parties to provide further information about the claim in the form of a directions questionnaire so that it can give appropriate directions as to the conduct of the proceedings and ensure that it is allocated to the correct track. The different tracks are used to ensure that the procedure adopted to trial is proportionate to the importance of the issues and amount at stake. Claims below £10,000 are generally allocated to the small-claims track and are dealt with quickly without many of the CPRs applying; for example, parties typically bear their own costs, most interim remedies are not available, there are limited disclosure obligations and witness statements are not normally exchanged before trial. Claims between £10,000 and £25,000 are generally allocated to the fast track, where the claim will still be processed quickly (trial will usually be set for a date within 30 weeks of the allocation decision) but more extensive preparation is permitted than on the small-claims track and interim remedies are available. The multi-track is reserved for the most important and high-value disputes, and the court will adopt a much more hands-on role in ensuring that the procedure adopted to trial is tailored to the requirements of the case. Cases on the multi-track may require one or more case management conferences (CMCs) at which the court will, usually after hearing submissions from the parties, give directions regarding the timetable for disclosure, exchange of factual witness statements and exchange of expert reports (if any), as well as indicating broadly when it expects the trial itself to be listed. For complex matters, it is not unusual for the period between the first CMC and the trial to be at least a year. Once listed, trial dates (across all tracks) are treated as set and only in exceptional circumstances will the court agree to postpone a trial. In 2014, the Ministry of Justice announced that between 2015 and 2020, HM Courts & Tribunals Service (HMCTS) would oversee a series of reforms aimed at modernising and improving the efficiency of courts and tribunals. The programme will involve substantial investment in digital technology to allow cases to be managed better, with less paper and fewer delays. This will allow a reduction in the number of court buildings, so generating further savings. The digitisation process is considered below (see Section III.iii, Digitisation, infra). Other separate but complementary steps to reform and rationalise court processes are also considered directly below. b a clarification of the test for grant of permission to appeal in second appeals (i.e., appeals of appeals) such that a ‘real prospect of success’ must be shown, or there must be some other compelling reason for the second appeal to be heard. Two pilot schemes, one for shorter trials, the other for flexible trials, began in the Business and Property Courts in London in October 2015. The objective of the pilot schemes, which will run until 30 September 2018, is to achieve more efficient trials in the context of commercial litigation. This was prompted, in part, by a recognition that comprehensive (and costly) disclosure is not always required for justice to be achieved. The Shorter Trials Scheme is open to cases that can be tried in no more than four days – this means cases in which only limited disclosure and oral evidence is required, and in practice means factually complex or multiparty claims (including fraud and dishonesty claims) are excluded. The intention is that a trial will take place within 10 months of the issue of proceedings, with judgment to follow within six weeks thereafter. The first case directly commenced under the Shorter Trials Scheme in March 2016, was National Bank of Abu Dhabi PJSC v. BP Oil International Ltd.  EWHC 2892. A one-day trial took place eight months after issue and judgment was handed down two weeks after the hearing, on 22 November 2016. It is also worth noting that an appeal against the judgment was heard in July 2017, quicker than many comparable appeals. c raise issues of general importance to the financial markets (see CPR Part 63A). The Financial List initiative included a two-year pilot financial markets test case scheme, which was extended in May 2017 for a further three years until 30 September 2020. This permits the court to decide cases that raise issues of general importance to the financial markets in relation to which immediately relevant authoritative English law guidance is needed, even where there is no present cause of action between the parties to the proceedings. As of November 2017, 21 cases had been placed on the Financial List, nine of which have been decided. In Property Alliance Group Ltd v. Royal Bank of Scotland plc  EWHC 207 (Ch), following a contested application to transfer existing proceedings to the Financial List, the Master of the Rolls (the second most senior judge in England and Wales) clarified that when deciding whether to transfer a case to the Financial List, CPR 30.3 and the overriding objective must be taken into account. The instant case was transferred to the Financial List even though the total value of the claim was £29 million (below the £50 million indicative threshold). This was because, in circumstances where the issues in the case were of broad significance for the market and a judgment would affect other proceedings already issued or in contemplation, it was desirable that it be dealt with by a judge of the Financial List, in order for the resulting judgment to carry appropriate weight and respect in the financial markets. c the introduction of pilot programmes allowing the cross-examination of victims and witnesses of crime to be pre-recorded so as to avoid the pressure of a live hearing. It was announced in March 2017 that due to the success of a pilot scheme for the evidence of certain witnesses (mainly children), it is intended that the number of courts where such witnesses can give pre-recorded evidence will be increased. Also, from September 2017, courts in Kingston, Leeds and Liverpool will pilot pre-recorded cross-examination for complainants and witnesses in respect of certain offences. b group litigation orders (GLOs),13 where claims brought by parties that give rise to common or related issues of fact or law are managed together. Represented persons are not formally parties to the proceedings and are therefore not subject to disclosure obligations or liable for costs (therefore leaving the representative liable for any costs). They do not have to opt in to be represented, although they can apply to the court to opt out. By contrast, parties to claims covered by a GLO are fully fledged parties and are likely to have to pay their share of the common costs of the litigation if they lose. The Court of Appeal confirmed the High Court’s rejection of a US-style class action brought against British Airways by two flower importers who sought to bring proceedings as representatives of all direct and indirect purchasers of airfreight services affected by an alleged cartel.14 The Court upheld the first instance decision to strike out the representative element of the claim as it was not in the interest of justice to bring an action on behalf of a class of claimants so wide that it was impossible to identify members of the class before and perhaps even after judgment. This opposition to US-style class actions has been strengthened by the government’s decision to remove provisions in the Financial Services Bill (enacted as the Financial Services Act 2010), which would have extended the options for collective actions in the financial services sector to include ‘opt-out’ actions. Orders made in a representative action are binding on all represented persons and may be enforced, with the court’s permission, against any other person. Judgments issued in claims subject to a GLO are binding on every party entered on the ‘group register’ (which will have been established pursuant to the GLO). Although there have been some high-profile cases involving representative actions and GLOs,16 class-action proceedings of any kind are still relatively uncommon in England and Wales, in part because of the risks of adverse costs orders against unsuccessful claimants and, more generally, the costs of commencing and maintaining proceedings. Parties are increasingly able to mitigate these risks through the increased availability of after-the-event insurance, third-party litigation funding, conditional fee agreements and damages-based contingent fee arrangements with lawyers who are willing to share the risks with their clients in return for a share of any damages (see Section III.x, infra). Section 47B of the Competition Act 1998 as amended came into force on 1 October 2015. It creates a genuine class action regime for the first time in the UK, allowing private individuals to seek collective redress for breaches of competition law. The regime operates in the Competition Appeal Tribunal (CAT) only. It accommodates follow-on damages claims, where a breach has already been established by a regulator, and stand-alone claims, where a claimant must prove breach itself. Claims that would raise the same, similar or related issues of fact or law may be pursued as collective proceedings; they are initiated by a representative of the class of affected persons and it is for the CAT to authorise that representative and make a collective proceedings order (CPO) permitting the proceedings to be continued. That order will also specify whether the proceedings are to be opt-in or opt-out. This places the UK in a minority in the EU (which typically does not support ‘opt-out’ claims) and may potentially make the UK a more attractive place for large groups of claimants to commence claims. …the expert methodology must be sufficiently credible or plausible to establish some basis in fact for the commonality requirement. This means that the methodology must offer a realistic prospect of establishing loss on a class-wide basis so that, if the overcharge is eventually established at the trial of the common issues, there is a means by which to demonstrate that it is common to the class (i.e. that passing on has occurred). The methodology cannot be purely theoretical or hypothetical, but must be grounded in the facts of the particular case in question. There must be some evidence of the availability of the data to which the methodology is to be applied. It therefore remains to be seen how the procedure (which affords considerable discretion to the CAT in terms of, for example, class certification) will be applied in practice. c where each claim against the defendant to be served and included in the claim form is a claim that the court has power to determine under the Hague Convention, and the defendant is party to an agreement conferring exclusive jurisdiction on the English court. Claim forms must be filed and served accompanied by a statement explaining the grounds supporting service out of the jurisdiction. CPR 6.32 makes specific provision for service without permission in Scotland or Northern Ireland. In all other cases, an application must be made to the High Court for permission to serve a claim form on a party situated outside the jurisdiction. The applicant must establish that it has a good arguable case and that the claim falls within one of the stipulated categories set out in CPR 6BPD.3.1. The categories include claims to enforce a judgment or arbitral award, or for a breach of contract committed within the jurisdiction. The applicant must also satisfy the court that England and Wales is the most appropriate jurisdiction in which to bring the proceedings (i.e., that it is forum conveniens) and that there is a serious issue to be tried. a By European Regulation or Convention – a judgment on an uncontested money claim issued by a court of a Member State and certified by it as a European enforcement order may be enforced very simply under the European Enforcement Order Regulation as though it was a judgment of the English court. Other judgments may be enforced using the procedure in the Judgments Regulation or the Lugano Convention. This involves making an application to the Queen’s Bench Division of the High Court (without notice to the defendant) for registration of the judgment. The grounds on which registration can be challenged are limited; for example, if the judgment was not enforceable in the Member State in which it was given or if one of the specific exceptions in Article 45 of the Judgments Regulation apply. The Judgments Regulation in its recast form applies to judgments in proceedings commenced on or after 10 January 2015; such judgments may be enforced more easily without the need for registration at the High Court. b By statute – judgments from Commonwealth countries and other countries that have reciprocal enforcement agreements with the UK may be enforced pursuant to the Administration of Justice Act 1920 and the Foreign Judgments (Reciprocal Enforcement) Act 1933 by making an application for registration to the High Court. Once registered under either Act, the judgment is enforceable as though it were a judgment of the English court. c At common law – judgments for a sum of money from all other jurisdictions (including, e.g., the United States) may be enforced at common law. This requires claimants to issue a claim in debt and then apply for summary judgment to enforce the judgment. The English courts will, in certain cases, assist foreign courts to collect evidence in civil or commercial matters. Courts of EU Member States (other than Denmark) may request that the English courts take evidence on their behalf or grant permission for the requesting court to take evidence in England directly under the Taking of Evidence Regulation (Council Regulation 1206/2001/EC). The grounds for refusing the application are limited (for instance, where the witness has a right not to give evidence under English law or the law of the requesting Member State), and the court must either comply with the request or refuse to do so within 90 days. Courts of non-EU Member States (and courts of EU Member States, if necessary) can request assistance under the Evidence (Proceedings in Other Jurisdictions) Act 1975 in relation to civil or commercial matters. Generally, the English court will exercise its discretion to assist the foreign court; however, the court will not make orders for pretrial discovery, general disclosure or require a witness to do anything he or she would not be required to do in English civil proceedings. As a general rule, members of the public may obtain copies of statements of case, judgments or orders without the permission of the court.19 Parties or any person mentioned in a statement of case may apply to the court in advance for a pre-emptive order restricting the release of statements of case to non-parties. The right of access does not extend to documents attached to statements of case, witness statements, expert reports, skeleton arguments and correspondence between the court and the parties, although members of the public may obtain access with the court’s permission. The court will normally grant permission to access documents where the documents are considered to be in the public domain as a consequence of having been read out in public or treated as having been read out in public. Historically, the common law rules against maintenance (support of litigation by a disinterested third party) and champerty (where the supporting party does so for a share of the proceeds) prevented the funding of litigation by anybody who was not party to the relevant litigation. Today, these restrictions are much narrower and third-party funding has become accepted as a feature of modern litigation. Case law and practice are still developing in this area, but the approach of the courts has so far been to uphold such arrangements so long as they do not breach the general prohibition on containing an element of impropriety. Relevant factors include the extent to which the funder controls the litigation (e.g., whether they take strategic decisions); the nature of the relationship between the funded party and the solicitor and the extent to which the funded party can make informed decisions about the litigation (this should be a genuine and independent relationship); the amount of profit the funder stands to make (it has been held that 25 per cent may not be excessive);20 whether there is a risk of inflating damages or distorting evidence; whether the funder is regulated; and whether there is a community of interest between the funder and the funded party. Lord Justice Jackson recommended in his final report on civil litigation costs, published on 14 January 2010, that a voluntary code should be drawn up to which all litigation funders should subscribe. The Code of Conduct for Litigation Funders was launched on 23 November 2011.21 The Code contains provisions concerning effective capital adequacy requirements, restrictions upon a funder’s ability to withdraw support for ongoing litigation and restrictions on a funder’s ability to influence litigation and settlement negotiations. Third-party funders may also be potentially liable for the full amount of adverse costs, subject to the agreement between the funder and the litigator. The Court of Appeal considered the basis and extent of funders’ liability to a successful opponent in Excalibur Ventures LLC v. Texas Keystone Inc and others  EWCA Civ 1144. Indemnity costs were awarded against the funded claimants on the basis that their ‘spurious’ claims had been pursued to trial despite having ‘no sound foundation in fact or law’. The Court of Appeal dealt with the issue of whether third-party funders could be made liable on the same basis as an unsuccessful party. Agreeing with the trial judge that the litigation was ‘egregious’ and a ‘war of attrition’, the Court of Appeal held that a funder should ‘follow the fortunes’ of the funded party. A funder seeks to derive financial benefit from the pursuit of a claim, just as much as the funded litigant. It cannot avoid any downside that may instead arise (subject to the ‘Arkin cap’, which limits a funder’s adverse liability to the amount of its investment). In any event, in the matter of liability for indemnity costs it was not appropriate to seek to differentiate between a party to litigation and those who stand behind that party purely on that basis; that would be to misconstrue one of the tests for indemnity costs, which requires a court to consider the character of the action and its effect on the successful party (and not any other party). a Conditional fee agreements (CFAs) are defined in Section 58 of the Courts and Legal Services Act 1990 as agreements between a lawyer and a client by which the lawyer’s fees and expenses, in part or in whole, are payable only in specified circumstances (meaning, usually, victory for the client either at trial or by way of settlement). At its most basic, a CFA will provide that a losing client has no liability for its lawyer’s fees (‘no win, no fee’) while a winning client will be required to pay its lawyer for work done on the case and, in addition, a success fee, intended to compensate the lawyer for the risk it took of earning nothing at all. As the market has developed, more sophisticated variants of this model have developed. For instance, a client may agree to pay its lawyer throughout the life of the case, but on the basis of a discount to the lawyer’s usual hourly rate. If the client loses the case, it will have no further costs liability to its lawyer. If the client is successful, it will be liable to ‘top-up’ the lawyer’s fees to the full hourly rate and, in addition, pay a success fee calculated by reference to the full hourly rate. Regulations set out the form and permissible limits of a CFA. For instance, any success fee may not exceed 100 per cent of the fees which would have been payable to the lawyer had there been no CFA in place. Under CFAs entered into before 1 April 2013, a winning party could recover any success fee payable to its lawyer from its losing opponent (in addition to the ordinary fees for which the client was liable to its lawyer). Reforms introduced following Lord Justice Jackson’s report on civil litigation costs abolished the recoverability of success fees. b Damages-based agreements (DBAs) are a species of contingency fee arrangement in which the amount payable by the client to the lawyer in the event of a successful outcome is calculated as a percentage of the damages received. Arrangements of this kind, in which the contingent payment is expressly linked to level of the client’s recovery, were outlawed in all but employment disputes until Section 45 of the Legal Aid, Sentencing and Punishment of Offenders Act 2012 (LASPO 2012) was brought into effect. DBAs will only be valid if they comply with the requirements set out in the Damages-Based Agreements Regulations 2013 (SI 2013/609). Contingency fee arrangements do not protect a party to litigation from the risk of adverse costs liability. In other words, a losing claimant with the benefit of a CFA may not have to pay anything to its lawyer, but it will, in the ordinary course, remain liable to pay a large part of the winning party’s legal costs. Funded claimants (and sometimes those funding a claim from their own resources) will typically seek to insure against that risk. A large market has grown up for such ‘after-the-event’ (ATE) insurance (so named because it is usually taken out once a claim has arisen and been formulated). Before the Jackson reforms of 2013, ATE insurance premiums were recoverable from a losing party. The end of recoverability does not appear to have significantly reduced the availability of ATE insurance and it is frequently offered in conjunction with third party funding of a party’s own legal costs. The liberalisation of the regime for third party funding and the corresponding development of a market for professional funders is making it easier for claimants to commence and maintain proceedings, particularly in relation to class actions where there can be very many claimants and such funding options represent an opportunity to spread the funding risk. In October 2015, as part of the Jackson reforms, a voluntary pilot scheme was introduced at the Senior Courts Costs Office with a view to establishing a new mandatory model form electronic a bill of costs based on uniform task-based time-recording codes. This was aimed at reducing the time and expense of drawing up the bill of costs by aligning it with the time-recording technology used in practice. It was originally intended for the new model form electronic bill of costs to be rolled out at the end of the six-month pilot scheme, in April 2016, by the introduction of a compulsory pilot. This was subsequently postponed and the extended voluntary pilot will continue to run until the use of the new bill of costs becomes mandatory across all courts in April 2018. The mandatory use of the new bill of costs will require amendments to CPR 47 and the associated PD. Conflicts of interest are governed by the rules contained in the Solicitors Regulation Authority’s (SRA’s) Code of Conduct 2011 (for solicitors) and the Bar Standards Board Handbook (for barristers). Generally, lawyers must refrain from acting in circumstances where there is a real or significant risk that a conflict exists between the interests of two or more different clients in either the same matter or a related matter, or where there is a conflict or a significant risk of a conflict between the lawyer’s interests and those of his or her client. There are two exceptions to this rule whereby lawyers may be permitted to act for two or more clients despite there being an actual or significant risk of a conflict between his or her clients’ interests. The first relates to situations in which the clients have a substantially common interest in relation to the matter or a particular aspect of it, as might be the case with a non-contentious commercial transaction. The second is where the clients are competing for the same objective, which if attained by one client will be unattainable to the other (e.g., in the case of bidders competing for the same asset in a private auction). There are, however, some preconditions that must be met before either exception can be relied on. Most significantly, all relevant issues must be drawn to the attention of clients and they must give their consent in writing. In addition, lawyers must be satisfied that it is reasonable to act in all the circumstances. If an actual or a significant risk of conflicts of interest exists, it may be possible for an existing client to seek an injunction to prevent the lawyer from continuing to act. Further, if a lawyer is found to have continued to act where there was a real or significant risk of a conflict arising, the retainer may be considered an illegal contract, which would impact on the lawyer’s ability to recover fees or to rely on any professional indemnity insurance to respond. In addition, he or she may face disciplinary proceedings before his or her relevant professional body. Lawyers have a duty to protect all confidential information regarding their clients’ affairs, unless disclosure is required or permitted by law or the client consents to the disclosure. In addition, a lawyer who is advising a client must make that client aware of all information material to the retainer of which the lawyer has personal knowledge. Where a lawyer’s duty of confidentiality to one client comes into conflict with the duty of disclosure to another client, the duty of confidentiality takes precedence (but this will not mean that the duty of disclosure has not been breached). b either B also gives informed consent and the lawyer agrees with them what safeguards will be put in place to protect the confidential information, or where the lawyer is unable to seek B’s consent, he or she puts in place common law compliant information barriers. In most cases, a firm will be unable to proceed unless both clients consent, in writing, to the arrangement. In Marks and Spencer Group plc v. Freshfields Bruckhaus Deringer,22 the court confirmed that where a firm is unable to implement effective measures to ensure that its former client’s confidential information is protected, the former client may be granted an injunction to prevent the firm from continuing to act for the new client. The key money laundering offences are contained in the Proceeds of Crime Act 2002 (POCA) and the Terrorism Act 2000. These ensure that the balance of responsibility for detecting and preventing financial crime rests more than ever before on the firms participating in the UK financial markets, including law firms. c acquires, possesses or uses property while knowing or suspecting it to be the proceeds of criminal conduct or of terrorist property. c prejudicing an investigation in relation to money laundering or terrorist financing offences. The POCA offences in particular cast a wide net. Criminal conduct is defined as conduct that constitutes an offence in any part of the UK, or would do so if the conduct occurred in the UK. Further, its scope is not limited to offences that might be considered more serious offences with the effect that it is necessary to report relatively minor offences to the National Crime Agency. The ‘failure to disclose’ offence is subject to an objective test and will therefore be committed if a person does not actually believe that another person is engaged in money laundering but a jury later finds that he or she had reasonable grounds for knowing or suspecting such activity. Lawyers are not required to make a disclosure if the information or other matter on which their knowledge or suspicion of money laundering was based, or which gave reasonable grounds for knowledge or suspicion, came to them in privileged circumstances. The Money Laundering, Terrorist Financing and Transfer of Funds (Information on the Payer) Regulations 2017 (which implemented the Fourth Money Laundering Directive (2015/849)), came into force on 26 June 2017. This Regulation replaces the Money Laundering Regulations 2007 and the Transfer of Funds (Information on the Payer) Regulations and prescribes standards that regulated persons (including law firms) must meet in relation to, among other things, client identification, employee training and record-keeping. These are designed to prevent firms from being used for money laundering. The Regulation also seeks to give effect to the updated Financial Action Task Force global standards which promote effective implementation of legal, regulatory and operational measures for combating money laundering, terrorist financing and other related threats to the integrity of the international financial system. The processing of personal data is primarily regulated by the Data Protection Act 1998 (DPA) and certain secondary legislation made under the DPA. The DPA implements the EC Data Protection Directive (95/46/EC) into UK legislation. The General Data Protection Regulation (Regulation (EU) 2016/679) was adopted on 27 April 2016 and will enter into force on 25 May 2018 after a two-year transition period (see Section VIII.vi, infra). Until it enters into force, the DPA remains the regime in force in the UK. c data subjects have certain rights, including to access personal data held about them, to rectify erroneous personal data and to damages (and in some circumstances distress) caused by any contravention of the DPA. The Information Commissioner’s Office (ICO) is charged with policing and enforcing the regime. The Commissioner’s enforcement powers include serving an enforcement notice requiring a data controller to comply with the relevant Principle after a specified period (failure to comply with an enforcement notice is a criminal offence) and, in the case of serious contraventions likely to cause substantial damage or distress, serving a monetary penalty notice requiring the payment of a penalty up to £500,000. Details of most enforcement actions taken by the Commissioner are also published on the ICO’s website. Data and personal data are widely defined in the DPA such that any electronic information (and some information held in structured hard-copy filing systems) that relates to an identified or identifiable living individual is likely to be personal data. Processing is also widely defined under the DPA to include anything that can be done with or in relation to data, including obtaining, recording, holding, organising, altering, retrieving, using, disclosing, transferring and destroying data. Access to, analysis of and disclosure of electronic information held by a client (or a third party) by legal professionals for the purposes of advising or acting on a dispute will almost always be subject to the DPA. This is because such data will usually contain the names, email addresses or other identifying information of the client’s employees or customers, or other living individuals and will therefore be personal data. It may also contain sensitive personal data, which is personal data containing information about (among other things) the data subject’s racial or ethnic origin, political opinions, religious beliefs, trade union membership, physical or mental health, sexual life or the commission or alleged commission of an offence by the data subject. Additional, more stringent conditions for processing apply in respect of sensitive personal data. Law firms acting as data controllers and the clients who are providing them with personal data (for example, for the purpose of locating relevant documents or evidence in relation to a dispute) need to comply with the Principles. In the context of dispute resolution practice, the relevant conditions for processing personal data for the purposes of the First Principle include that the processing is necessary for the purposes of legitimate interests pursued by the data controller (in the case of non-sensitive personal data) and that the processing is necessary for the purpose of, or in connection with, any legal proceedings (including prospective legal proceedings), for the purpose of obtaining legal advice or for the purposes of establishing, exercising or defending legal rights (in the case of sensitive personal data). Even when one of those conditions is met, the client and law firm (acting as data controller) will also need to ensure that the processing is otherwise fair and that the other Principles are complied with. The subject access rights under the DPA can be used as a means to seek relevant information for the purpose of a dispute involving a living individual. Law firms acting in a dispute with an individual and their clients may receive subject access requests by that individual for documents containing personal data relating to that individual. However, information that is subject to legal privilege is exempt from the subject access rights under the DPA. The House of Lords confirmed in its decision in Three Rivers District Council and Others v. Governor and Company of the Bank of England (No. 4)24 that legal advice privilege protects confidential communications between a lawyer and client made for the dominant purpose of receiving or giving advice in the relevant legal context. However, the House of Lords did not interfere with the Court of Appeal’s previous ruling in Three Rivers (No. 3),25 which warned that care must be taken when identifying the ‘client’ for the purposes of legal advice privilege. Particularly in large, but potentially in any, organisations, the client may be limited to a defined group within the instructing entity with the responsibility for regular correspondence with the solicitors and not simply any employee or member of the instructing entity. In Re the RBS Rights Issue Litigation,26 the High Court dismissed an application by RBS to withhold from disclosure notes of interviews (which were created pursuant to internal investigations). The High Court decided that legal professional privilege did not apply as: (1) applying Three Rivers (No. 3), the notes of interviews were preparatory information gathered from current or former employees who did not form part of the lawyers’ client (notwithstanding that the information was collected in order to be shown to a lawyer to enable legal advice to be given to RBS); and (2) the interview notes could not be said to be privileged as ‘lawyers’ working papers’ as it was not sufficiently clear that the notes would give an indication as to the legal analysis or advice undertaken or given to RBS. The UK Supreme Court confirmed in R (on the application of Prudential Plc) v. Special Commissioner of Income Tax27 that legal advice privilege applies only to legal advice provided by members of the legal profession and not to members of other professions who give legal advice in the course of their business (such as accountants who provide tax advice). Litigation privilege arises only when litigation is in existence or contemplation.28 In those circumstances, any communication between a lawyer and client, or a lawyer or his or her client and a third party, is privileged if made for the dominant purpose of obtaining or giving legal advice or collecting evidence or information in relation to the litigation. Litigation privilege is wider in scope than legal advice privilege in that it may cover communications with third parties and therefore avoids the difficulties in identifying the client inherent in legal advice privilege. The High Court considered the question of when, and whether, litigation privilege arises in the context of internal investigations in Director of the Serious Fraud Office v. Eurasian Natural Resources Corporation Limited.29 A criminal prosecution must be reasonably in prospect for a party under investigation to claim litigation privilege successfully. This decision is currently under appeal. Common interest privilege arises where communications are made between parties who share a common interest in the legal advice. This will arise where parties share the same interest in litigation (or potential litigation) or in a commercial transaction to which the legal advice relates. In such cases, communications of privileged information between the parties will be privileged even if neither legal advice privilege nor litigation privilege applies. This immunity applies where production of the document would be so injurious to the public interest that it ought to be withheld, even at the cost of justice in the particular litigation.31 The procedures for claiming this immunity (which in most practical respects operates as another head of privilege) are set out in CPR 31.19. Any communications made in a good faith effort to settle proceedings are covered by the without prejudice privilege. However, the without prejudice rule is not absolute and evidence of without prejudice communications may be admitted in certain circumstances; for example, to determine whether the communications resulted in a concluded settlement agreement (and to interpret the terms of such an agreement)32 or whether the agreement was procured by fraud, misrepresentation or undue influence. The case of Brown v. Rice33 reinforced that without prejudice privilege applies to communications made during a mediation; however, on the facts, the communications were admitted as evidence to establish whether a settlement had been concluded. In Farm Assist Limited (in Liquidation) v. the Secretary of State for the Environment, Food and Rural Affairs (No. 2)34 Ramsey J clarified that without prejudice privilege is the privilege of the parties and not the mediator. On the facts of the case, the parties had waived the privilege, and so the mediator could not rely upon the privilege to resist a witness summons. Parties to English litigation are required to produce to their opponent and the court documents within their control upon which they rely. They are frequently also required to produce documents that tend to harm their case. A party is entitled to withhold from inspection documents that are legally privileged (but must still disclose their existence). The relatively expansive nature of document production is reflective of the ‘cards on the table’ approach that characterises English court procedure. b discuss and seek to agree with the other party or parties a proposal for the disclosure exercise that meets the overriding objective, not less than seven days before the first CMC. CPR 31.4 makes it clear that a ‘document’ is anything in which information is recorded. Examples of documents include, for these purposes, photographs, emails, text messages and voicemail recordings. CPR 31PD.2A.1 even extends this definition of document to cover ‘metadata’ (i.e., information about an electronic document that is not visible on its face, such as electronic records of who created the document). CPR 31.8 provides that parties are only required to produce documents that are or have been under their control. The definition of ‘control’ includes documents that a party has or had in its possession, or has or had a right to possess, or has or had a right to inspect or copy. In Lonrho Ltd v. Shell Petroleum Co Ltd (No. 1),39 the court confirmed that a document will be considered to be in a party’s control if the party has a presently enforceable right to obtain inspection or copies of the document without the need to consult anyone else. The fact that a document may be situated outside the jurisdiction is irrelevant. Much of the remainder of Part 31 of the CPR remains focused on standard disclosure being the default option. For example, where standard disclosure is ordered, each party is under an obligation to conduct a ‘reasonable search’ for disclosable documents.40 Factors relevant to whether a search is ‘reasonable’ are indicated at CPR 31.7, including the number of documents involved; the nature and complexity of the proceedings; the ease and expense of retrieval of any particular document; and the significance of any document that is likely to be located during the search. The CPR and courts recognise that the disclosure of electronic documents may present unique challenges to parties because of the potential volume of material that might have to be recovered and reviewed and the technical challenges of so doing. CPR 31PD.2A sets out the procedure parties should follow in attempting to define and sensibly restrict the scope of electronic disclosure. Similar provisions are included in the Commercial Court Guide. Searches for relevant electronic documents may include using specialist software to conduct keyword searches across computers, or even entire servers. It may also involve the restoration of backup tapes (or other electronic archives that are not readily accessible) for the purpose of conducting electronic searches for relevant material. PD 31B was introduced with effect from 1 October 2010 and encourages the parties to complete an electronic documents questionnaire (EDQ) at an early stage of proceedings, setting out details of material held electronically that they intend to disclose. The EDQ must be supported by a statement of truth. The parties are then expected to discuss the disclosure of electronic documents, including the scope of the reasonable search for such documents and any tools and techniques that might reduce the burden and cost of the disclosure of electronic documents. The Disclosure Working Group, chaired by Lady Justice Gloster has recently published a proposed PD, designed to overhaul and modernise the entire disclosure process. The new rules propose to place litigants under an obligation to cooperate and assist the court in any disclosure exercise, with sanctions stipulated for non-compliance. The proposed PD would also impose the following duties, including: (1) a duty to cooperate with each other and assist the court over disclosure, (2) a duty to refrain from providing irrelevant documents (document dumping) and (3) an express duty to consider the use of technology. In terms of the disclosure exercise itself, the proposed PD suggests that parties choose one of five models: ranging from a simple ‘no disclosure’ option, a basic option of disclosing only key documents necessary to understand the case, and standard disclosure to the more onerous train of enquiry approach from Peruvian Guano.41 The phrase ‘standard disclosure’ has been removed from the draft PD to avoid any assumption that it is the default option although it remains available. Members of the judiciary, professional associations and court users have been invited to participate in a consultation process which is open until 28 February 2018. Parties are making increasing use of information technology to assist in the review of large bodies of data. Such technology can take many forms. ‘Predictive coding’, for example, refers to the use of software to assess the likely relevance of documents to a dispute, so as to limit the time and expense incurred in conducting a reasonable search for disclosable document under CPR 31.7. In Pyrrho Investments Limited v. MWB Property Limited and others,42 Master Matthews approved the use of predictive coding to expedite the search of more than 17 million documents. Ten reasons were given, chief of which was that predictive coding allows parties to search vast amounts of electronic documents at proportionate cost. Courts have since shown an increased inclination to order the use of predictive coding over and above other search methods, such as keyword searches.43 Pyrrho was approved in Brown v. BCA Trading Ltd44 in which the use of predictive coding in electronic disclosure was endorsed. The court also stated that predictive coding would be significantly cheaper than a keyword search and there was no evidence to suggest that it would be less effective. Document production is a two-stage process: the parties disclose the existence of relevant documents by serving on each other a list of those documents. They then provide their opponent with copies of all those documents save for those which they have some legal basis for withholding (most commonly, documents over which privilege is claimed). Even when a document is withheld from inspection, its existence must be disclosed in the relevant section of the disclosure list. Each document over which privilege is claimed should be described. 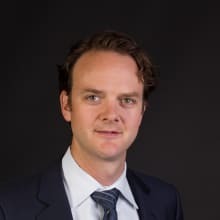 In Astex Therapeutics Ltd v. AstraZeneca AB,45 the High Court ruled that a generic statement to the effect that the categories of documents referred to in the relevant section of the disclosure list are privileged is insufficient to discharge the requirement under CPR 31.10(4)(a). There are a number of forms of alternative dispute resolution mechanisms available in England and Wales. The glossary to the CPR defines alternative dispute resolution (ADR) as a ‘collective description of methods of resolving disputes otherwise than through the normal trial process’. ADR encompasses a variety of dispute resolution methods ranging from non-binding negotiations, in which there is no third-party involvement, to formal binding arbitral proceedings.46 ADR has achieved acceptance as it is normally conducted in private, its outcome is normally subject to agreement of the parties, confidential, and it may offer a faster and more cost-effective resolution to a dispute than traditional litigation. The Civil Justice Council ADR Working Group recently considered, and dismissed, the idea of imposing mandatory ADR in its Interim Report which was published in October 2017. The report notes that in England and Wales there are already a number of ADR processes that are effectively mandatory and introducing compulsory pre-action ADR would be ‘too heavy handed’. The following reasons were cited in the report such as the difficulties with avoiding unnecessary cost and hassle, the risk of delay due to difficulties with engaging defendants pre-action and the largely negative feedback about mandatory pre-action systems from jurisdictions such as Italy (which is the only European system with a mandatory pre-action mediation requirement). d Section 68 – a party may apply to the court to challenge an award for ‘serious irregularity’. Section 69 of the 1996 Act permits parties to appeal to the court on a question of law arising out of an award made in the arbitral proceedings, unless they have agreed otherwise. This right to appeal will usually be excluded if the parties have agreed to arbitrate the dispute using institutional rules (see below). A party seeking leave to appeal an award must complete an arbitration claim form within 28 days of the award date stating the reasons for the appeal sought. The court will determine an application for leave to appeal without a hearing unless it appears to it that a hearing is required. On an appeal, the court has the discretion to confirm the award, vary it or set it aside in whole or in part or to remit the award to the arbitral tribunal, in whole or in part, for reconsideration in the light of the court’s determination. Arbitration may be institutional or ad hoc. In institutional arbitration, the parties will agree to submit to an institution to administer the arbitration, applying the rules of that institution. The major institutions used in English arbitration are the Chartered Institute of Arbitrators, the International Chamber of Commerce and the London Court of International Arbitration. There are also established arbitral institutions for industry-specific arbitration, including maritime, construction and engineering, and insurance disputes. In ad hoc arbitration, parties may agree all procedural issues themselves. The United Nations Commission on International Trade Law (UNCITRAL) procedural rules are widely used in appropriate ad hoc English arbitration. Section 66 of the 1996 Act (another mandatory provision) governs the enforcement of foreign arbitral awards in England and Wales. It permits the enforcing party to apply to the High Court to enforce the award as if it were a judgment or order of the court to the same effect. Where an arbitral award is made in a country (other than a country in the UK) that is a signatory to the UNCITRAL Convention on the Recognition and Enforcement of Foreign Arbitral Awards 1958 (the New York Convention), that foreign award is recognised as binding and, with the Court’s permission, may be enforced in England, Wales and Northern Ireland under Section 101 of the 1996 Act. Section 103 sets out the limited circumstances where a court must or may refuse to allow a foreign award to be enforced: for example, if the award was invalid under the governing law of the arbitration or the seat of the arbitration. If the court permits the foreign award to be enforced, the options available on enforcement will be the same as if it were a judgment of the English court. The New York Convention applies to arbitration in England and Wales. In IPCO (Nigeria) Ltd v. Nigerian National Petroleum Corp,47 the Court of Appeal held that the terms of the 1996 Act and the New York Convention did not prevent a court, on an application for enforcement of an arbitral award, from ordering partial enforcement of that award. The Court stated that the purpose of the New York Convention was to ensure the effective and speedy enforcement of foreign arbitral awards and, consequently, where an award comprised challengeable and unchallengeable parts, it was possible for a court to order enforcement of the unchallengeable part. In England and Wales, there are no rules obliging parties to mediate or determining how mediations are conducted or concluded. Parties are free to agree between themselves all aspects of the mediation process. The potential benefits to parties of being able to resolve their disputes through mediation, even where normal trial processes are contemplated, continue to be recognised by the English courts. The CPR strongly encourages parties to consider mediation at several stages during litigation, including before formal proceedings commence, when the case is allocated to track and at any CMCs. The court may also impose or grant a request for a stay of proceedings pursuant to CPR 26.4 to enable the parties to attempt mediation. The Jackson ADR Handbook was published in April 2013 following Jackson LJ’s recommendation.48 It has been endorsed by Jackson LJ, the Judicial College, the Civil Justice Council, and the Civil Mediation Council and is the authoritative guide to ADR in England and Wales. The approach of the court in this area has frequently been to treat mediation and ADR as effectively synonymous terms. In Dunnett v. Railtrack plc,49 the court declined to order that the defeated claimant pay Railtrack’s costs because Railtrack had, unreasonably in the court’s view, refused to consider an earlier suggestion from the court to attempt ADR. In Halsey v. Milton Keynes General NHS Trust,50 the court stated that it was for the unsuccessful party at trial to demonstrate that the successful party’s costs should be reduced because of its failure to consider ADR. Relevant factors when assessing whether ADR was unreasonably refused include the nature of the dispute, the merits of the case, the relative costs of ADR to the case and whether ADR had a reasonable prospect of success. However, in PGF II SA v. OMFS Company 1 Limited,51 the Court of Appeal made it clear that parties are expected to engage with a serious invitation to participate in ADR and they may be penalised in costs if they refuse to do so. In that case, the court refused to award the defendant its costs as it had ignored an offer from the claimant to mediate. Mediation is becoming increasingly popular in England and Wales for disputes of all sizes. In 2008, the EU adopted Council Directive 2008/52, the Mediation Directive, which applies to all Member States when engaged in cross-border disputes within the EU. The Directive seeks to ensure that Member States facilitate mediation. This includes ensuring that local law does not prevent parties who emerge from unsuccessful mediations from being time-barred from litigation, and that settlement agreements reached in mediation are enforceable under local law. At present, mediations and mediation services providers are not regulated by a central body, and there are no formal qualifications mediators must possess to be able to practise. In 2004, a voluntary code of conduct for mediators was introduced in EU Member States, and there is increased debate over whether a central regulatory body should be created, along with compulsory training or standardised accreditation for mediators. In addition to arbitration and mediation, there exists a range of other processes available to parties seeking to settle their disputes out of court. These include early neutral evaluations, a non-binding process intended to provide parties at an early stage in a dispute with an independent assessment of facts, evidence or respective legal merits; expert determinations, typically a contractually binding determination by a neutral expert of a dispute involving technical or valuation issues; and adjudication, a statutory process, mandatory for disputes arising under specified construction contracts entered into since 1 May 1998. Ultimately, private dispute resolution can take any form that the parties wish. In most cases, the procedures are non-binding and ‘without prejudice’, which allows the parties to commence or continue litigation or arbitral proceedings, if necessary. There are a number of upcoming macro-level challenges to the existing state of the English legal system and its component parts, together with some substantive changes to practice and procedure. The UK electorate’s June 2016 vote to leave the European Union may have a number of legal and practical implications. 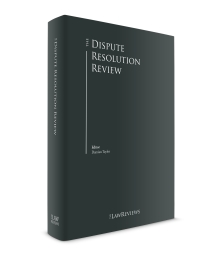 Please see Chapter 1 for an analysis of the issues as they relate to the resolution of disputes. In 2014, the Ministry of Justice announced that between 2015 and 2020, HMCTS would oversee a series of reforms in order to modernise and improve the efficiency of courts and tribunals. It is anticipated that the reforms will comprise an upgrade of facilities as well as the modernisation of technology. In the Autumn Statement 2015, the Chancellor of the Exchequer announced a funding package of £700 million to modernise the court estate across the country and to fully digitise services. A number of procedural reform initiatives have already been rolled out, such as the establishment of the Business and Property Courts, the introduction of a two-year pilot for shorter and flexible trials, and the Financial List, as have initiatives aimed at digitising the courts system (see Section III.iii, infra). Reform has also been suggested by The Disclosure Working Group, chaired by Lady Justice Gloster, to address the excessive costs, scale and complexity of disclosure, in their proposal for a new PD to modernise and streamline the disclosure process (see Section VI, infra). Furthermore, in 2017–2018, HMCTS has proposed to host a number of roadshows to engage with and gain feedback from legal professionals on the courts and tribunals modernisation programme. On 30 September 2017, the Criminal Finance Act 2017 became law, introducing a new corporate offence of ‘failing to prevent’ the facilitation of tax evasion. The offence is analogous to the offence of ‘failing to prevent bribery’ under Section 7 of the Bribery Act 2010 and is targeted at corporates (and their advisers) that fail to prevent the facilitation of tax evasion by persons who act on their behalf. The new tax evasion offence is a strict liability offence, which (1) gets round the difficulties of proving corporate criminal liability on the basis of the ‘directing mind and will’ test; and (2) does away with the fiction that only directors or senior level managers can be involved in economic crimes. e stronger sanctions for breach such as fines of up to 2 per cent of annual worldwide turnover or €20 million. 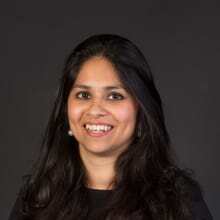 1 Damian Taylor is a partner and Smriti Sriram is an associate at Slaughter and May. The authors wish to thank Rob Brittain (professional support lawyer at Slaughter and May) for his contribution and assistance. 2 On 23 June 2016, a referendum was held on the UK’s membership of the EU in which a majority of the UK electorate voted to leave. For consideration of the dispute resolution implications, please see Chapter 1. 3 The third division is the Family Division, which deals with matrimonial and other family-related matters. 4 These are: business; competition; insolvency and companies; intellectual property; property; trust and probate; revenue; and Chancery appeals. 5 Formerly the Court of Justice of the European Communities (the collective name for the Court of Justice (commonly known as the ECJ), the Court of First Instance (CFI) and the Civil Service Tribunal). Following the Treaty of Lisbon, the collective court is known as the Court of Justice of the European Union (CJEU). The ECJ remains the Court of Justice and the CFI is now known as the General Court. 8 See the Pre-Action Conduct and Protocols Practice Direction at www.justice.gov.uk/courts/procedure-rules/civil/rules/pd_pre-action_conduct. 9 A recent case has held that costs budgeting and proportionality considerations can be taken into account and directed by the Court in certain circumstances, even in cases exceeding £10 million in value (see Sharp & Ors v. Blank & Ors  EWHC 141 (Ch)). 10 Recent case law on costs budgeting includes, Harrison v. University Hospitals Coventry and Warwickshire NHS Trust  EWCA Civ 792, where it was held that in order to depart from budgeted costs already agreed in the claimant’s costs budget at the Costs and Case Management Conference, the established principle of ‘good reason’ was required. However, costs incurred before a budget would be the subject of detailed assessment in the usual way; there was no requirement for ‘good reason’ to be shown if there was to be a departure from the approved budget. In Merrix v. Heart of England NHS Foundation Trust  EWHC 346 (QB), where a case settled before trial, when assessing costs on the standard basis, a costs judge should not depart from the receiving party’s last approved budget unless satisfied that there is good reason to do so. 11 Lewis v. Eliades (No. 1)  EWHC 335. 14 Emerald Supplies Ltd v. British Airways plc  EWCA Civ 1284; (2010) 160 NLJ 1651. 15 Office of Fair Trading v. Abbey National plc and Others  UKSC 6;  3 WLR 1215. 16 See the class actions brought by shareholders of RBS in respect of the 2008 RBS rights issue and the shareholders of Lloyd’s/HBOS in respect of alleged losses suffered as a consequence of Lloyds’ acquisition of HBOS in January 2009 and the subsequent recapitalisation of the merged entity. On 5 December 2016, RBS announced that it had settled with three of the five claimant groups in the rights issue litigation, and in April 2017 further settlements occurred with additional shareholders, resulting in an effective settlement of 87 per cent. of the claim (by value). The trial on liability began in May 2017, however further settlements were announced in June 2017, and the High Court vacated the trial. The Lloyds/HBOS case is still working its way through the High Court. See also, the Equitable Life litigation (in the House of Lords: Equitable Life Assurance Society v. Hyman  1 AC 408), where Equitable Life sponsored one defendant, Hyman, to represent around 90,000 of its policyholders to establish the correct interpretation of a life insurance policy it had issued. In January 2017, the High Court granted a GLO that will see a class action against the Post Office regarding claims that sub-postmasters were wrongly punished because of flaws in the Post Office’s Horizon computer system. 522 current and former postmasters have attached to the claim as eligible claimants. Also this year, an application was made to the High Court for a group litigation order to pursue Volkswagen Group UK for financial compensation due to the NOx emissions scandal. The application was originally made in January but was then adjourned. The pretrial hearing took place on 27 November 2017, by which time 45,000 claimants had joined the class action. 17 Walter Hugh Merricks CBE v. Mastercard Incorporated and others  CAT 16. 18 See, for example, Nelson v. Halifax plc  EWCA Civ 1016. 20 Arkin v. Borchard Lines Ltd and Others  EWCA Civ 655. 23 We understand that this option (of the data controller assessing adequacy of protection) is particular to the UK data protection regime and is not available elsewhere in Europe. The ICO has published guidance on assessing adequacy: Assessing Adequacy – International transfers of personal data, 28 February 2012. 28 It is unlikely that the privilege applies to non-adversarial situations; Re L (A Minor)  AC 16. 30 See R (River East Supplies Ltd) v. Crown Court at Nottingham  EWHC 1942 (Admin). 31 Burmah Oil Co Ltd v. Governor and Company of the Bank of England  AC 1090. 32 Oceanbulk Shipping & Trading SA v. TMT Asia Limited  UKSC 44;  3 WLR 1424. 35 Three Rivers (No. 4)  UKHL 48. 36 See joined cases of Cases T-125/03 and T-253/03 Akzo Nobel Chemicals Ltd and Akcros Chemicals Ltd v. Commission in the General Court and the subsequent decision of the ECJ in C-550/07 P.
37 Lawrence v. Campbell (1859) 4 Drew 485 and IBM Corp v. Phoenix International (Computers) Ltd  1 All ER 413. 38 See for example comments made by Lord Justice Jackson in his lecture on disclosure at the Law Society’s Commercial Litigation Conference (10 October 2016). 41 Compagnie Financiere et Commerciale du Pacifique v. Peruvian Guano Co (1882) 11 QBD 55. 43 Brown v. BCA Trading Ltd  EWHC 1464 (Ch). 46 Some practitioners would exclude arbitration as a form of ADR and would emphasise instead the procedural informality of ADR mechanisms. However, since an arbitration can only be commenced with the consent of the parties, it is treated here as an alternative to the formal court process. 48 Available from Oxford University Press.